(From Left to Right): Moderator Jennifer Song, Cushman & Wakefield, Jacky He, Executive of Vice President, DMG Investments, LLC, Greg Wang, General Counsel, Hongkun USA, Georgina Sun, Director of Marketing & Sales, China Overseas America, Inc., Chester Gu, Vice President, US Education and Value added Service, Landsea Holdings Corporation and Yan Zhou, Deputy General Manager, Shokai Group. A number of the world’s leading foreign development companies gathered recently to discuss the heavy stream of overseas capital that’s flowing into the New Jersey Gold Coast and giving rise to a wave of substantial new residential projects at a pace more commonly seen across the Hudson River. Hosted by DMG Investments and The American Chinese Real Estate Society (ACRES), the panel included leaderships from five global development firms who are all betting big on the continued growth of the New Jersey Gold Coast, which includes Cliffside Park, Edgewater, Weehawken and Jersey City. With Jennifer Song of Cushman and Wakefield moderating the discussion, the panelists detailed what’s driving their confidence in the marketplace, including proximity to Manhattan, a comprehensive mass-transportation infrastructure buoyed by frequent ferry and rail service, compelling value propositions when compared with Manhattan and Brooklyn, and the ability to appeal to a large pool of residents looking for a mix of urban-suburban attributes. Other companies that participated in the panel included Shokai Group, Hongkun, Landsea and China Overseas America, Inc. Each development firm is moving forward with large-scale projects ranging from massive towers in Jersey City to mid-rise residential buildings stretching north towards the George Washington Bridge. Each project will bring world-class design and modern luxury to the region while leveraging the robust retail, dining, and lifestyle attractions that line the waterfront. DMG Investments LLC was established as a real estate investment company in 2014. Headquartered in New York City on Wall Street, DMG looks to nationwide residential markets and student housing markets with favorable population and employment growth. As a US subsidiary of DoThink Group, a Top 100 real estate developer in China, DMG aims at steady expansion in the United States. 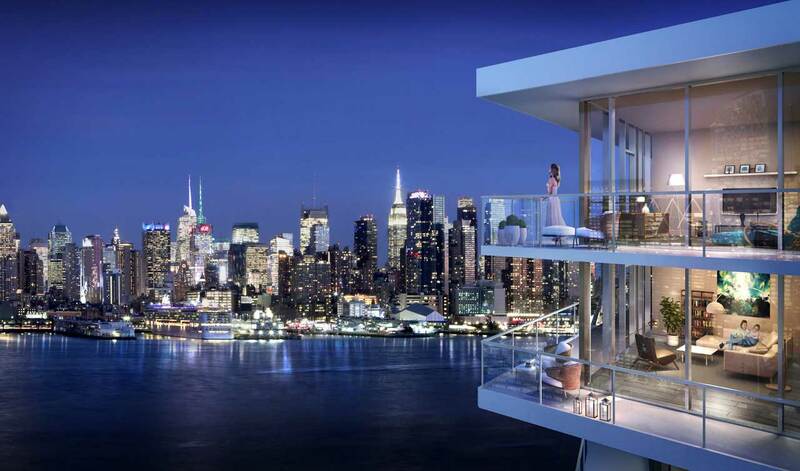 With high quality of vision and performance, comprehensive understanding and appreciation of land value and market fundamentals, and attention to inhabitation, DMG is emerging as a premier Chinese developer in US real estate markets. More information about DMG can be found at www.dmg-investments.com. The American Chinese Real Estate Society (ACRES) serves a growing number of bilingual real estate professionals who have interests and resources in both the U.S. and China. An advocate for Chinese business groups as well as a leading facilitator of U.S.-China cross-border transactions, ACRES strives to provide valuable connections, education, and experiences to local experts with a global reach. ACRES is headquartered in New York City. More information about ACRES can be found at www.acresociety.com.